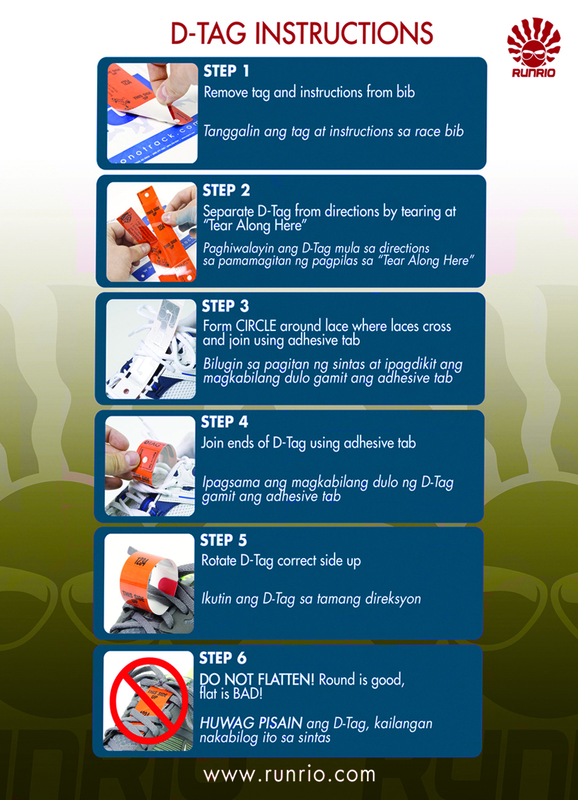 Race kit includes the race bib, singlet, D-tag and a 150ml Rexona Men Sports Defence aerosol. Runners who register early will get the limited ed “Gold” singlet. Late registrants will have to opt for the Green version. 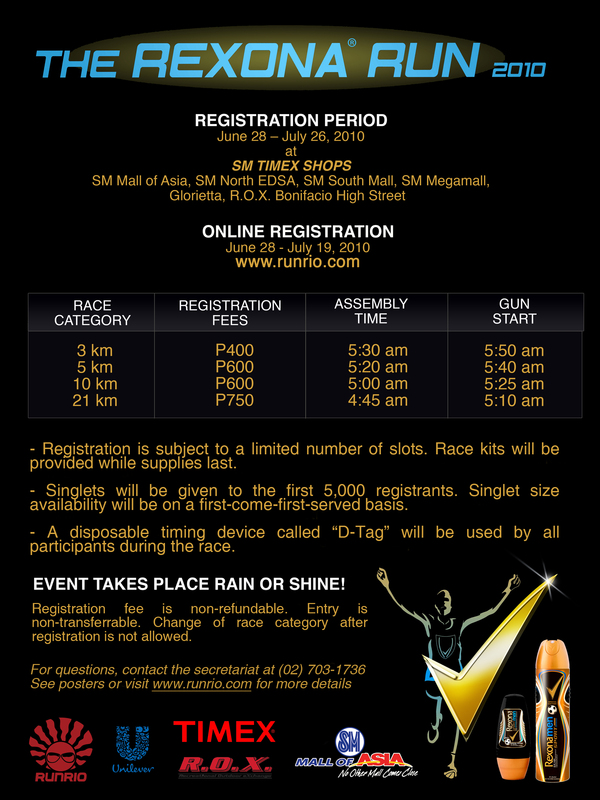 And another plus for registrants, you will get a Runrio membership card which will entitle you to discounts at retail stores and to earn points. How cool is that?